The increasingly competitive landscape in the synthetic fibers market has made it essential for companies to seek opportunities to add value and create points of differentiation. 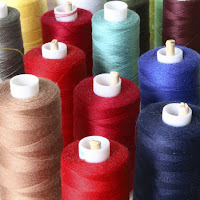 This blog post is to review how color and additive solutions impact the functionality and stabilization of synthetic fibers during production and when going to market. Differentiating your fiber products from the competition can be accomplished in a number of ways, it boils down to determining what you are trying to accomplish, and then working with suppliers to find the right solutions. For example, outdoor fabrics for awnings would require different attributes than the lining of a fleece jacket. Finding the right mix of polymer color and additives can be the key to unlocking new business opportunities, helping synthetic fiber producers enhance material properties and create improved efficiencies in the spinning process, which adds greater value to end customers when compared to lower-cost alternatives. To further achieve the look you are after, the following color and additives might also be considered. In the highly competitive synthetic fibers market, differentiation can be achieved by fine-tuning your processes and finding the right mix of color and additive solutions. By working with a trusted partner, you can effectively balance form and function that will add value to your operation—and your customers. Americhem is more than a supplier to the synthetic fiber industry—we’re a partner that can help enhance your existing products and bring new products to market faster. We become fully integrated in your processes to help improve efficiency and overall product quality by employing our unique value-engineering approach. For more information on best practices in the manufacture of synthetic fibers, or to learn more about Americhem’s products and services, visit Americhem.com.